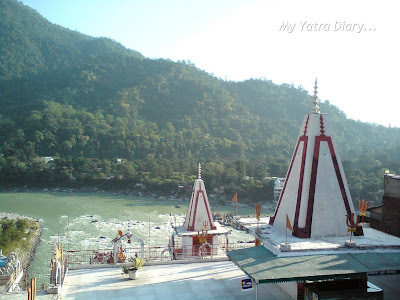 Rishikesh is not a pilgrimage destination devoted to any particular place of worship or deity. Rather, it is a site of various spiritual practices. We reached the place in the morning and since we had a couple of hrs to spend in the town; we decided to visit the Triveni ghat and check out a few other places. But weariness of the past 6 day Hilly Himalayan travel got the better of all of us and all our plans of exploring the place were instead reduced to just spending some peaceful time in Swami Dayananda Ashram itself. Given below is a brief summary of the places that you can visit while you are in Rishikesh along with some photos from my archives. The only holy ghat where pilgrims flock for a holy dip and to offer their prayers to Mother Ganga – A must visit if you are in Rishikesh. Laxman Jhula - The prominent 450-foot long iron suspension bridge was built in 1939 over the Ganga River. 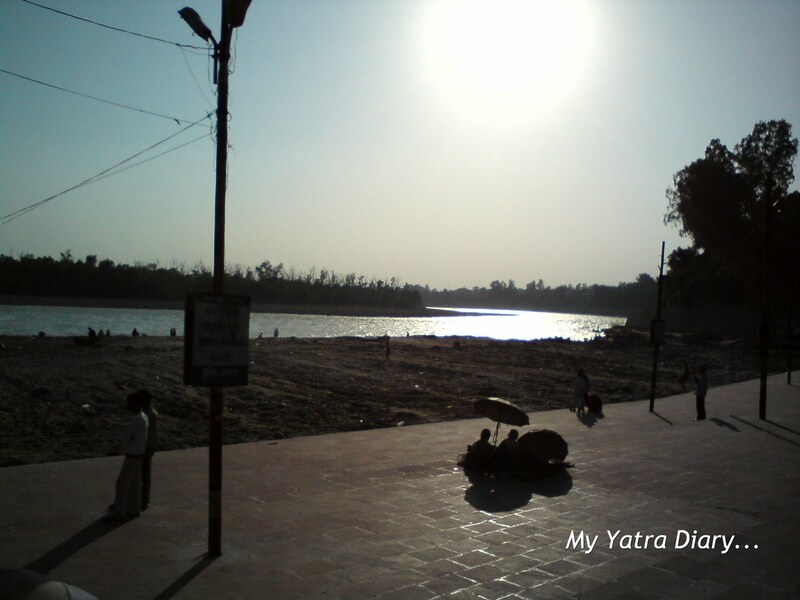 It is said that Lord Ram's brother Lakshman had crossed the River on a jute rope from here. This part of town is better known for its busy bazaars, restaurants and cafés and one can also visit the Lakshman and Raghunath temples here. Ram Jhula - Just 2 km ahead downstream, at Muni-ki-Reti, is another suspension bridge built later connecting the areas of Shivanand Ashram on the east bank and Swargashram on the west. the entire stretch of both these bridges give you a marvelous view of this exotic city and it’s truly a beautiful experience to walk on them! 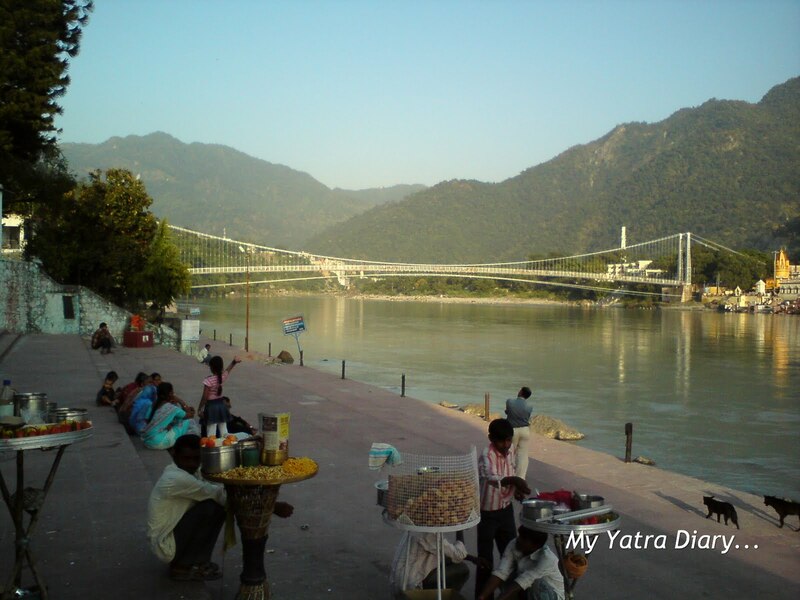 Both of these are pedestrian-only bridges and are used to cross the River Ganga that flows through the town of Rishikesh and divides it into two parts. 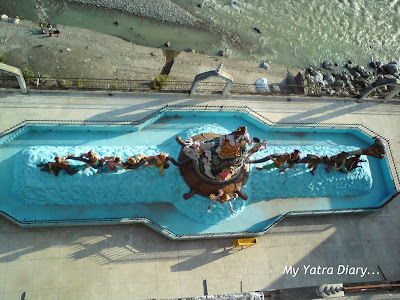 Both of them also stay true to their name 'Jhula', which means 'swing' in hindi, and sway slightly when you walk on it. While crossing the Lakshman Jhula, you will come across the Kailash Niketan Temple, a 13 storey structure housing the deities of various Gods and Goddesses and some famous historical illustrations from the Holy Hindu texts and scriptures. लक्ष्मण झूला के लिए तो दोबारा जाना ही था, अब आपकी बताई शेष जगहों को भी ध्यान में रखूँगा. Very valuable information. Incidentally Kailash Niketan type temple for deities on various floor is there at Juhu as well but that is not this tall. I always look forward to the trips you take us own through your wonderful photos, Arti! And what a gorgeous place today! I do love the water and the delightful mythological depictions! Great post for the day -- as always! Hope you have a lovely weekend! Those views are amazing. It looks like a great place to visit. Wow, the Laxman Jhula bridge is spectacular but I'd most like to visit the temple. What wonderful shots! Love the view in that last one. very useful and informative post! Lovely pictures. So did you go on the bridges, and did you feel them sway? My favorite picture is the second one with the whole expanse of the bridge and the mountains behind it. Pretty reflections, as well. Wonderful part of your journey! There isn't much that is the same about your travels and mine, but the fact that sometimes you have to have a down day (a day to rest and not tour) is the same! But what a beautiful place you had to rest and catch up. I love this! I have been planning a trip to spiritual and sacred places around the world -- it's still a dream trip. I'll definitely add some of these places to my list. The 13 Floor Temple is very unique for me who am used to see Japanese temples. But the view from the temple is marvelous. Mother Ganges is full of water and very beautiful. Thank you for taking us on a very interesting journey. lovely post!!! makes me eager to visit again! 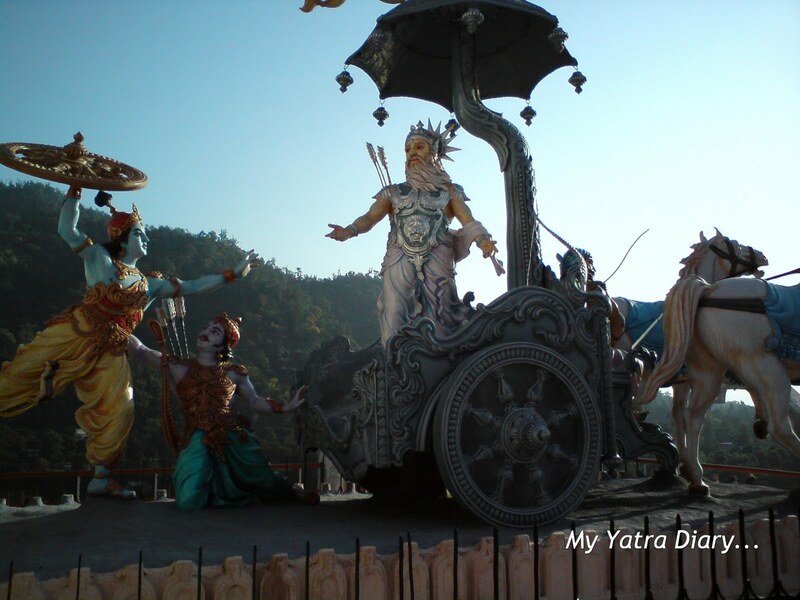 I have been to Dehradoon but that was years ago!! Dont remember much, Sorry. Yup, I did walk on those suspension bridges and they do sway! Its an amazing experience. THANKS TO SHARE WITH US .GREAT POST . Superb..Arti..! I am sure your posts are going to be of great value when I visit Rishikesh..! Looking forward to seeing the place..till then your posts are next best to being there..! I can see the interesting and unique figures. My children must be pleased with them. As for parents, we see the beautiful scene and relax at the 13 floored. This view from the temple is really something - so pretty! Hope your sunday is lovely Arti! Namaste! the suspension bridge blends in beautifully - it's design is gentle like the surrounding hills. and I like the story of Lakshman's jute rope river crossing. it's hard to imagine really. it would take a lot of coaxing to get me to walk across either of the bridges, due to the swinging, it being over water when I don't know how to swim, and my uneasiness with any sort of heights. it would most likely feel quite the accomplishment if I did it! 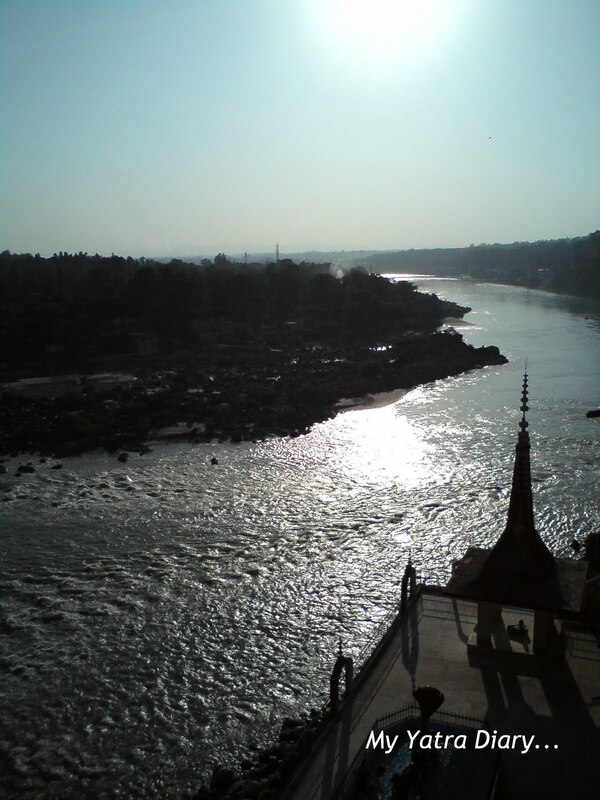 the view from the heights of the temple is very special, looking over the Mother Ganga. wonderfully informative as always Arti. I'm wondering, is this area very touristy? happy day to you. have a great week, arti! Beautiful pictures. One from the top of the temple is awesome. The bridges do sway, but not that much!! And even I do not know swimming!! Rishikesh is quite a tourist place with many foreigners coming here!! 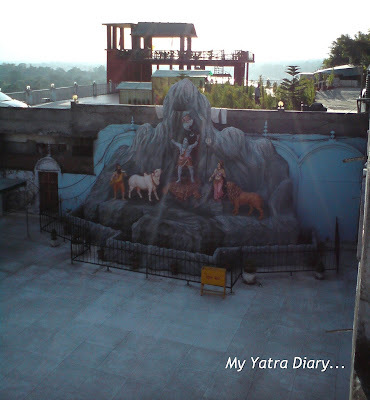 Beautiful captures of a divine place Arti ~ loved reading it! The suspension bridge is beautiful to see but a bit thrilling to walk. The view from the Temple took my breath away - the river is so beautiful shimmering in the sunlight. The 13- story temple is new to me, though we have 13-story stone pagodas in Buddhism culture. Thank you for the lovely and spiritual tour as always, Arti. Everything about it seems so peaceful. Or maybe it's just the morning light? Wonderful shots of the place. Hi, Had visited Rishikesh around 15 yrs back....Beautiful place....Very serene and peaceful....Nice pics and a good post! Arti you really are an avid traveler, & you post beautiful pictures----i am just the opposite. It has been so many years since I went to Rishikesh, but you brought back so many memories. Thanks for posting! Awesome!It is reallta trat to visit your site Arti. Did you visit Shivpuri with is another 15 mms from Laxmanjhoola. It's the start point for all rafting events. The Kailash Niketan temple has 13 floors. That's interesting? Do you know if there are any other temples that are multi-storeyed like this one? Your blog is a treasure house of information and this post is no exception. I quite liked the pictures. What immediately struck me in all those images was absence of the unruly mobs. I understand thy are supposed to be devotees but I find them deeply repelling. 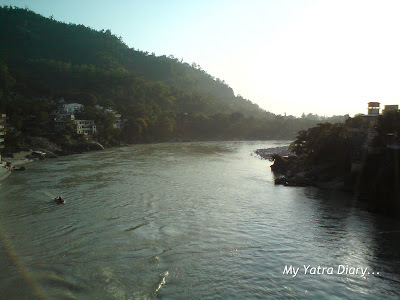 I have made a mental note to visit Rishikesh one day. Thanks for sharing. There are certainly some other temples like this. One is in Haridwar, another in Vrindavan but they are of a couple of floors. None of this magnitude that I can remember, especially when coupled with the views of the flowing Ganga, this one is unbeatable!! !